Whew! What a summer it was! On April 20 I began a torturous project of replacing the siding on my house. The old OSB siding was defective and delaminating. After removing it, I replaced it with new fiber-cement siding (aka Hardi Plank). My two-story house is large, and this was a big project to undertake by myself. I worked on it every day until mid-July when it just became too hot to work any more. This summer set records for heat and lack of precipitation. About then, fire season began in Montana, and it was a bad one. I've never seen Missoula as smoky as it was this summer. I started working on fires on August 3 and continued with only three days off through September 21 (49 days in all). Rains finally ended fire season, but I still had work to do on my house. After resting for two days, I resumed working on the siding, which by that time, was about 80 percent done. The work that was left to do was high work, so I rented a lift for a week and squeezed 7 days of work into 4-1/2 between rain showers. After returning the lift, there was only a few days of odds and ends left to do and, finally, the siding mega-project was done. I'll admit that after that exhausting summer I had a hard time getting motivated to do much of anything for awhile. Gradually though, I've worked my way back into the shop, and I'm now starting to work on saws again. 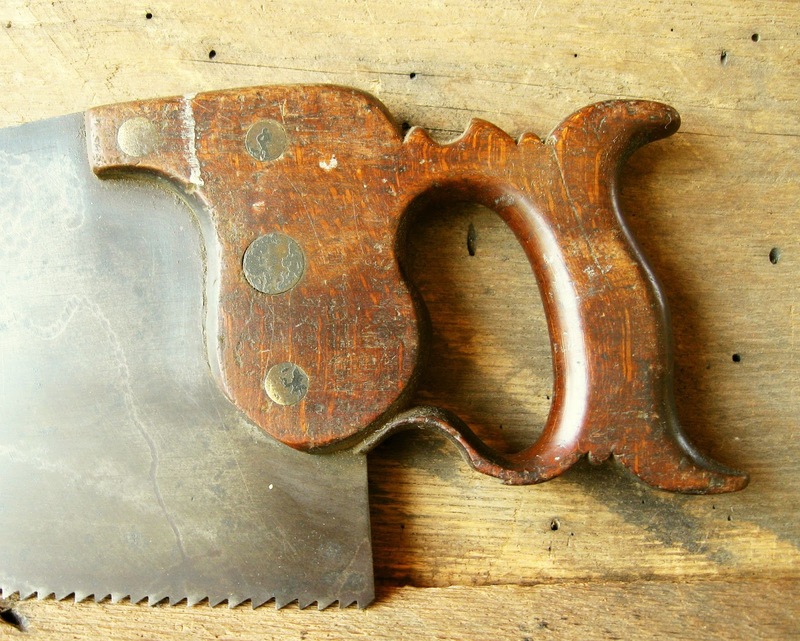 The first saw project was restoring a handsaw for a client in New York. Then, I sharpened 4 miter saws for a friend in Massachussets. That's over 8 feet of miter saw sharpening! Now I'm ready to start on other saw projects. I have some saws I want to make this winter. I'm looking forward to trying some new things and expressing myself artistically on some new saw builds. I will, of course, continue taking outside saw sharpening and restoration jobs. If you have some saws that need work, feel free to send them my way. I'll end this with pictures of a couple interesting saws I acquired this summer. First is a Disston No. 12 with cone nuts and washers. These fasteners were used for a short time during the 1860s and 1870s. This saw is probably from the earlier part of that period. I have a similar No. 12 from the later part of the period. 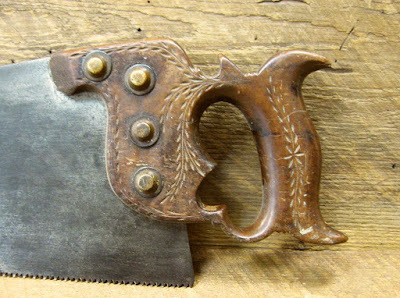 This next saw is stamped Proctor & Co. Boston. They were an early hardware company. The saw was made for them by Welch & Griffiths, one of America's earliest saw makers. I have dated this saw to c1838.